Children with albinism are often the target of witchcraft accusations which leads to their body parts being used for ritual purposes, in some cases fuelling incidents of trafficking and sale of children. The human rights violations committed against children with albinism are of the highest severity. Indeed, the life of children with albinism is surrounded by fear, stigma, discrimination, prejudices and ill-perceptions as a result of their condition. Children with albinism are at high risk of acts of violence and inhuman treatment, as well as abandonment, discrimination and exclusion as a result of their appearance, and due to the disability factors associated with their condition, such as impaired eyesight and sensitive skin. In this International Albinism Awareness Day, priority measures gain a very special relevance: supporting the protective role of the family, empowering children to prevent and address incidents of violence: engaging strategic stakeholders: ensuring a universal vital registration system: enacting a clear legal ban against all forms of violence against children and ensuring the recovery and social reintegration of victims. Realizing every child’s right to freedom from violence is a fundamental thrust of the UN Convention on the Rights of the Child and its Optional protocols. With the adoption of the 2030 Agenda for Sustainable Development, and its ambitious vision to build a world free from fear and from violence, the international community has agreed a path towards achieving this noble goal. The countdown to 2030 has started and the clock is ticking. There is no time for complacency. Around the world young boys and girls with albinism continue to be exposed to appalling levels of violence, in their neighbourhoods, in their schools, in institutions aimed at their care and protection, and also within the home. 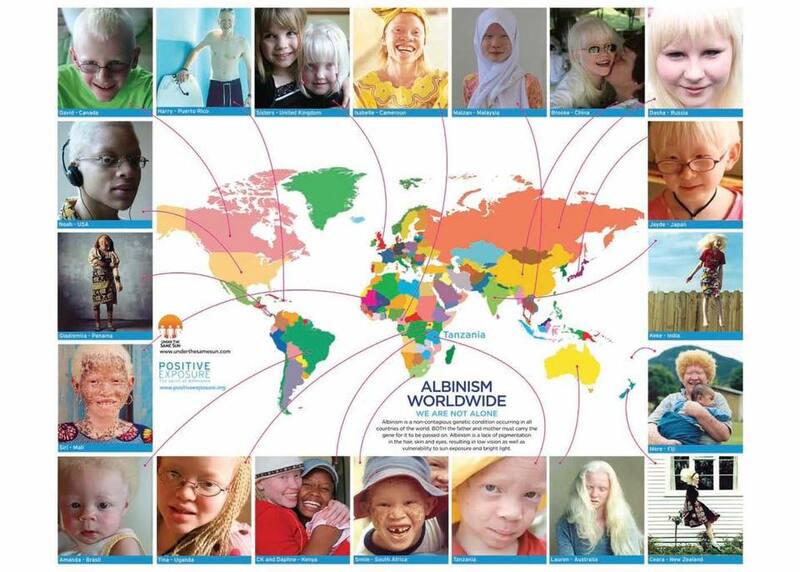 More than ever before, children with albinism need us. We feel pressed by the urgency of safeguarding their fundamental rights and by the imperative of eliminating the incidence of violence shaping their lives.